S.Z. Chowdhury, PhD is an examiner and school teacher in History, World Religions as well as Theory of Knowledge and his research areas include Metaphysics, Sufism, Qur’ānic Studies and Islamic Law. He lives and works in London. Abū ʿAbd al-Raḥmān Muḥammad b. al-Ḥusayn al-Sulamī (d.412/1021) lived in the 3rd and 4th century AH / 9th and 10th century CE. He was born in the city of Nīshāpūr, one of the most renowned cities in the Islamic world. He was part of a line of earlier Ṣūfī figures who attempted to defend the cardinal tenets of Sufism from accusations of heresy. However, al-Sulamī surpassed his predecessors by amassing a corpus of antecedent mystical dicta from the architects of Islamic mysticism and substantiating them with transmission channels (isnad) or grounding them in a core teaching of the Prophet Muḥammad. This study demonstrates that al-Sulamī was an accomplished mystic. It outlines his life and times, and surveys in full all his works as far as they can be identified. Moreover, the important sources that shaped the development and impression of his thinking and modality of transforming the ego-self (nafs) are presented in detail, bringing together earlier and current academic scholarship on him. Abū cAbd al-Raḥmān Muḥammad b. al-Ḥusayn al-Sulamī (d.412/1021) lived in the 3rd and 4th century AH / 9th and 10th century CE. He was born in the city of Nīshāpūr, one of the most renowned cities in the Islamic world. He was part of a line of earlier Ṣūfī figures who attempted to defend the cardinal tenets of Sufism from accusations of heresy. However al-Sulamī’s surpassed his predecessors by amassing a corpus of antecedent mystical dicta from the architects of Islamic mysticism and substantiating them with transmission channels (isnad) or grounding them in a core teaching of the Prophet Muḥammad. This study demonstrates that al-Sulamī was an accomplished mystic. It outlines his life and times and surveys in full all his works as far as they can be identified. Moreover, the important sources that shaped the development and impression of his thinking and modality of transforming the ego-self (nafs) are presented in detail bringing together earlier and current academic scholarship on him. Chapter One constitutes a short literature review of key works regarding studies on al-Sulamī as well as those that yield important information and data on one or more facets of his thought and practice where this is useful for fortifying subsequent research on him but nevertheless reveal an existing lacunae in that regard. Chapter Two attempts to distil from a survey of the social, political, and intellectual trends within the city of Nishāpūr those factors and events that have a direct or indirect bearing on al-Sulamī’s formative years as well as the broad contours of his exposition of Sufism. It will also include general analyses of the historical developments and evolution of Sufism from its ascetical origins through to a mystical elaboration by al-Sulamī’s time and his role in the apologetic phase of that evolution. 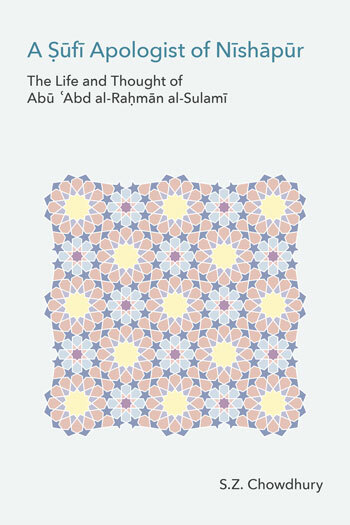 Chapter Three specifically focuses on the important circle of individuals and movements that were strong sources in influencing al-Sulamī’s intellectual and mystical outlook by examining Arabic primary source texts from key biographical references as well as historical studies from contemporary scholars. Chapter Four outlines the biographical data on al-Sulamī, highlighting amongst other aspects his teachers, students and lineage. 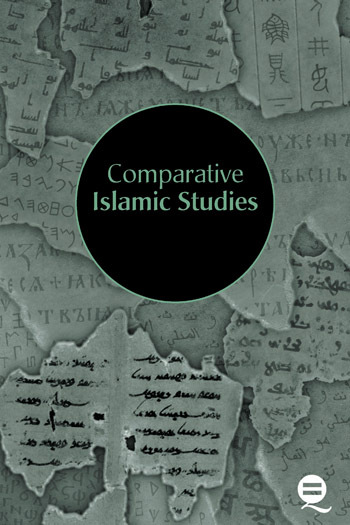 It will also include evaluative material assessing al-Sulamī’s influences upon later Ṣūfī practitioners and masters of the discipline in addition to both positive and negative remarks made by subsequent Muslim scholars regarding his integrity as a theoretician and Ḥadīth expert. Chapter Five forms a taxonomy of all of al-Sulamī’s extant works with a view to presenting brief outlines on their contents as well as ascertaining where possible the provenance of the original manuscripts. This chapter assesses and extracts the methodology of al-Sulamī’s transformation the ego-self (nafs).